현재 정확히 원인이 밝혀지지 않았지만 자가면역질환으로 원인을 꼽고있다. 예전에는 탈모라고하면 나이든 아저씨들의 전유물로 여겨졌으나, 현재 실제 탈모로 내원하는 환자의 반이상은 20-30대의 젊은 남녀들로 차지한다. 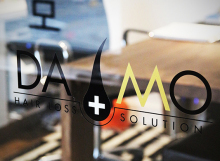 It used to be only older males who came in for hair loss treatment, but now people in their 20-30s make up half of the clientele. 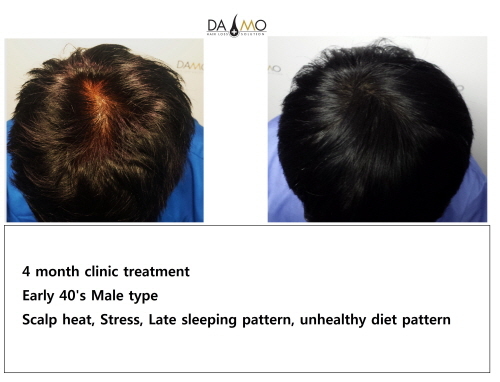 However, male pattern hair loss can start any time after puberty. Once the testosterone level increases, the probability of losing hair also increases. 남성호르몬이 두피를 지성으로 만든다는 사실! 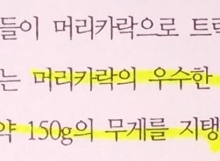 여성호르몬은 탈모를 방지하는 역할을 합니다. 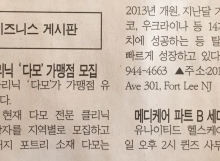 그리고 동시에 두피의 오일생성을 억제합니다. 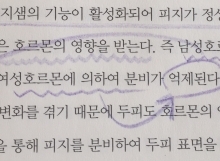 환자들을 치료하다보면 두피타입이 지성에서 중성으로 가면서 발모와 증모가 시각적으로 가속되는 것을 관찰할 수 있습니다. 지성두피가 탈모를 반드시 일으킨다고 볼 수는 없지만 과도한 피지분비로 인한 지성두피는 문제성두피를 만들 수 있습니다. 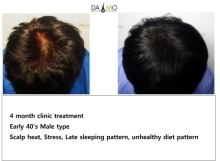 Do you know male hormone makes your scalp oily! 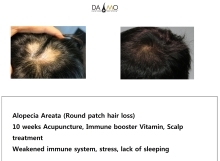 Female hormone normally functions as hair loss prevention hormone and also it lowers oil production level on our scalp. 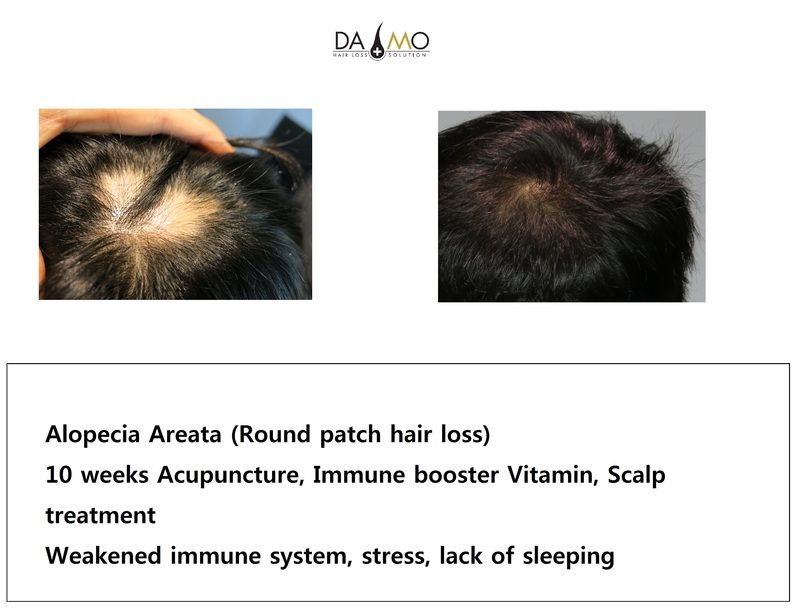 We notice that hair regrowth process visually speeds up when patient’s scalp condition is changing from oily to normal. 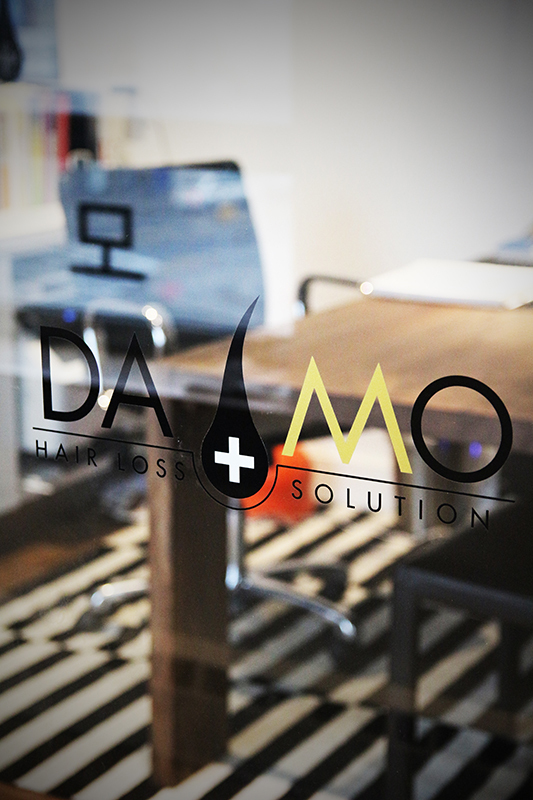 Want to open DAMO clinic in your town?? 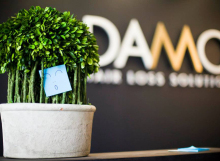 DAMO is looking for the prospective partners to expand our branches to other states or regions. Due to the high demand from other states, we are going to provide all setup, solutions, training and marketing support for each region. Each hair can hold up to 150g therefore the hairs falling during shampoo motion are already released from hair follicles. 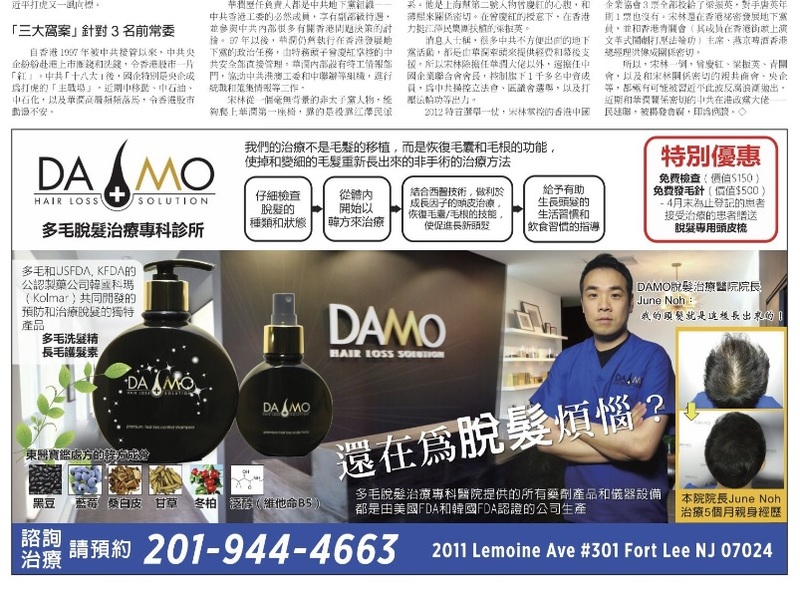 Want to open DAMO branch? 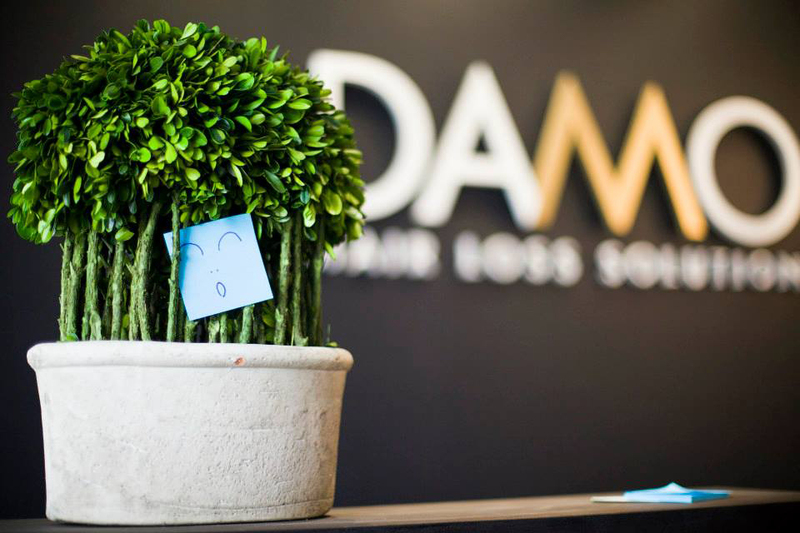 or in clinic DAMO station?